Campbell (Brian Kolodziej) is a man without a car, and it's not doing him any good in the job market. So, when things start to go halfway decent after he gets a job at a car wash, his thoughts turn to finding something cheap - and that's just what an old '70s van sitting nearby promises. 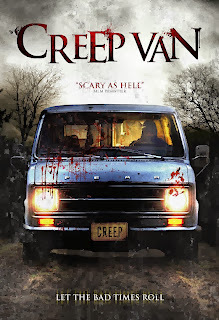 The van, however, is owned by a man (Mike Butler) that has outfitted it with a number of booby traps, from killer seat belts to windows with sharpened blades, in order to turn it into a traveling killing machine. Turns out the for-sale sign is another ruse to get victims. When Campbell is put off from a return phone call and refuses to buy the van it puts him and his new girlfriend Amy (Amy Wehrell) on a collision course with the van's owner. Larry (Lawrence Michael Levine) is a low-rent private eye who is hired to find out why a college student has suddenly disappeared. 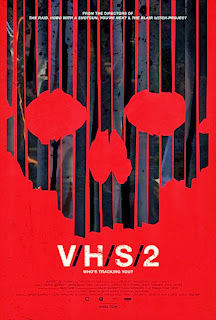 He and his assistant Ayesha (Kelsy Abbott) break into the house where the student lives and find a series of monitors set up with piles of old VHS tapes. While Larry searches the house, Ayesha begins to watch the tapes. Tape one involves a man who is given an experimental eye transplant by a medical company. The eye is actually a camera, and at first everything is fine - until a bloody man and a little girl show up. 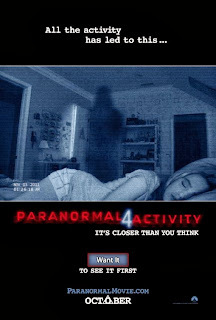 Turns up the camera is the perfect medium in which to see ghosts. 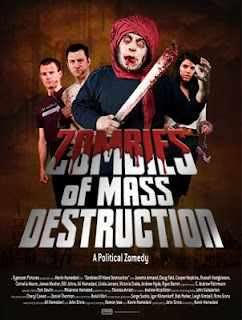 On the second tape we meet a man who goes out for a bike ride only to run into the beginnings of a zombie apocalypse. Instead of the usual, we get to see things from a zombie's point of view. Third tape in features a television crew investigating an apocalyptic cult in Indonesia that happens to decide it is time for judgment day. Ryan (Paul Preiss) has been suffering nightmares ever since the disappearance of his sister Amy (Rachel Taylor) five years prior. Now a senior in college it is affecting his relationship with his girlfriend Rachel (Irina Costa) as well as his ability to attend school. It seems that Amy and her friends were taken by Mary Worth (Caitlin Wachs) while playing a game similar to Bloody Mary, only where they write their name and the names of others they wish to "mark" on the mirror before summoning her. College kids Anderson Lee (Jay Gillespie), Nelson (Dylan Edrington) and Cory (Matthew Carey) are on their way to Daytona Beach to stay in a friend's beach house and have fun. Along the way they meet another group going the same way at a gas station, and Anderson quickly takes a liking to Joey (Marla Malcolm), while Kat (Gina Marie Heekin) and her bisexual boyfriend Ricky (Brian Gross) seem unimpressed. Cory invites them to the "beach house... on the beach." 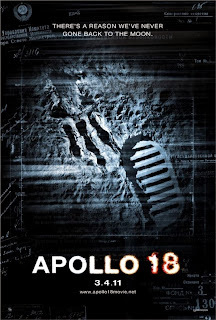 In 1974 the cancelled Apollo 18 mission is reactivated with astronauts John Grey (Ryan Robbins), Ben Anderson (Warren Christie) and Nate Walker (Lloyd Owen). The mission is top secret and appears to be an effort to put cameras and listening equipment on the moon in order to keep an eye on the Soviet Union. However, soon after setting up the equipment, strange electrical interference begins to play havoc with their communications. It also appears there may be something moving around on the surface. 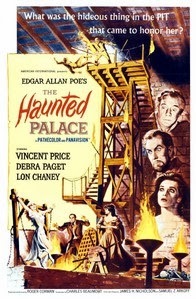 110 years later Curwen's great-great-grandson Charles Dexter Ward (also Price) arrives in Arkham with his wife Ann (Debra Paget), having inherited the palace. The villagers, all descendents of the people who got rid of Curwen, are none to happy to see him - especially when they notice the resemblance to their local bogeyman. Undeterred, the Wards decide to get a look at the ancestral home, even if they might decide to leave Arkham's unfriendly confines. A group of Norwegian scientists out of Thule Station in Antarctica find a giant alien ship while tracking a strange signal. 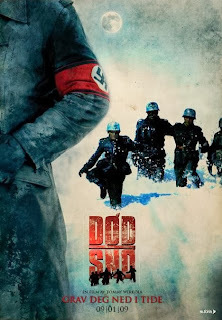 Dr. Sander Halvorson (Ulrich Thomsen) recruits Kate Lloyd (Mary Elizabeth Winstead), a paleontologist who has expertise in cold weather digs, to assist in recovering the ship's occupant, who has been found frozen not far from the craft. 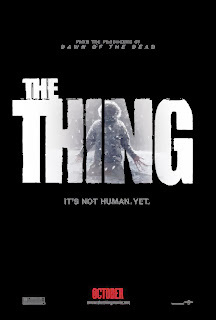 After bringing the block containing the creature back to camp, celebrations are cut short as the alien breaks free from the ice and immediately starts killing - followed by the revelation that it can assume the shape of anyone it comes in contact with. Sander devises a test to determine who is human and who is not, but soon after the lab is sabotaged, making it clear that the someone in the group is no longer human. From there, it is a race to survive, as anyone in the camp can be the alien at any time. 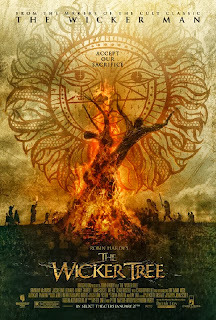 Jeffrey (Nikolaj Coster-Waldau) murders his wife and flees to the woods with his daughters. After crashing his car he stumbles to a cabin called Helvetia, where, just as he is about to kill his oldest, he is dragged away by some sort of creature. The girls are left on their own, except for the creature, who provides them with cherries to keep them fed. Jesse (Arye Gross) inherits his family residence after 25 years living with adopted parents. On the night that he was given up, his real parents were killed by a zombie named Slim Razor (Dean Cleverdon), who was looking for a skull that had been passed down through the family. Turns out Jesse's great great grandfather (Royal Dano), a notorious outlaw for whom he was named, found the skull and decided to keep it out of Slim's hands. Frida Abbas (Janette Armand) has just returned from Princeton to the small island town of Port Gamble to work in her father's restaurant while she decides what to do with her life. High school teacher Cheryl Banks (Cornelia Moore) has decided to run against popular mayor Hal E. Burton (James Mesher). Wall Street banker Tom (Doug Fahl) has returned to visit his mother - with his new boyfriend Lance (Cooper Hopkins) in tow. Just the right time for a zombie outbreak to occur. It begins with a blind man finding a reanimated corpse on the beach and being attacked. Soon more and more of the town is bitten and turns until the prerequisite horde begins to overwhelm the citizens. No one knows where it came from, but authorities lay the blame at the feet of notorious terrorist Mohammed Mustafa (Kevin Hamedani). 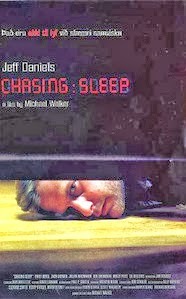 Ed Saxon (Jeff Daniels) wakes up to find that his wife Eve did not come home the night before. Concerned, he calls her friend Susie (Molly Price) to find out if she's visiting her, but she's not, and Susie suggests that he call the hospital to see if she is there. After finding out that is also a negative he contacts the police to file a missing person report. All this happens at around five o'clock in the morning. The next time that Ed is conscious of his surroundings is around three o'clock in the afternoon. The university he teaches at is furious because he did not arrive for his class and Detective Derm (Gil Bellows) from the Seattle Police has been trying to contact him most of the day after finding Eve's car running near the home of one of her coworkers, a high school P.E. coach named George Simian (Julian McMahon). Derm tells Ed to make sure that he answers his phone and to call if he remembers anything else. 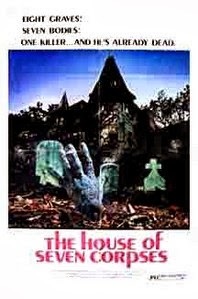 A film crew is making a low-budget horror film in an old mansion watched over by a man named Edgar Price (John Carradine) in which a number of the family members who have dwelt in the house have met horrible deaths. The director, Eric Hartman (John Ireland) is basing the film loosely around what happened. Although most of what is in the script was made up, at least some of the Beal family that inhabited the house appear to have been into black magic, as production assistant David (Jerry Strickler) finds a stash of books - among them, The Tibetan Book of the Dead. The book becomes a prominent prop within the film, and Eric has his lead actress Gayle Dorian (Faith Domergue) read from it. Soon, strange things begin to happen. 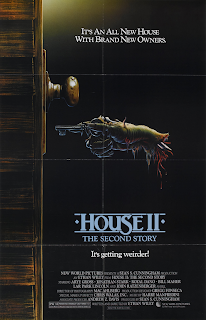 Gayle's cat turns up dead, strange rumblings are heard - and then a shambling corpse first murders Price and goes on to take out the rest of the cast and crew in ways resembling the different deaths suffered by members of the Beal family. Beth Boothby (Brittania Nicol) is a former Shania Twain-style country artist who has been born again and now sings for Christ. She and her fiancee Steve (Henry Garrett) leave their home in Texas to minister to the small village of Tressock, Scotland, and find themselves warmly welcomed by the locals. Particularly, Sir Lachlan (Graham McTavish) and Lady Delia Morrison (Jacqueline Leonard), who sponsor a concert in Edinburgh to showcase Boothby's talents. In Tressock Beth and Steve find out they have their work cut out for them. The village largely worships the old gods and view Christianity with a lighthearted disdain. Still, the pair try their best to fit in, agreeing to be the May Queen and the Laddie for the village's annual spring celebration. Count Leopoldo de Karnstein (Mel Ferrer) is preparing to marry his fiance Georgia (Elsa Martinelli) at the family's ancestral home in Italy. Also attending is his cousin Carmilla (Annette Stroyberg), the only other living Karnstein. Besides bearing a striking resemblance to her ancestor Mircalla, she is secretly in love with Leopoldo, but decides to keep it to herself. During a celebration prior to the wedding a fireworks display is planned, and the pyrotechnician Ruggieri (Alberto Bonucci) plans to set them off in the old abbey where the Karnsteins were once entombed. This concerns a number of the locals because, up until the 18th century, the Karnstein family was thought to be made up of vampires that fed on the local population. After the fireworks set off hidden arsenals of explosives left over from World War II, a tomb opens and Carmilla is drawn by the voice of Mircalla, the latter taking over the former's spirit and possessing her body. Ginger (Katharine Isabelle) and her sister Brigitte (Emily Perkins) are outcasts at their high school and constantly obsess over death and photographing each other dying in various ways. This often brings them into conflict with the more popular kids, including Trina (Danielle Hampton), who targets Brigitte during field hockey practice. In revenge, the sisters decide to kidnap Trina's dog and make it look like it fell victim to the Beast of Bailey Downs, an animal which has been responsible for the death of a number of pets in the area. While out they find its latest victim and, while preparing to photograph it, Ginger begins her first menstruation. Not only is it inconvenient, but the smell of blood attracts the beast, which happens to be a werewolf. It attacks Ginger and drags her off, but she escapes and the werewolf is inadvertently killed when local drug dealer Sam (Kris Lemche) hits it with his van. Norwegian medical students head out to a remote cabin near the town of Øksfjord for their Easter break. Vegard (Lasse Valdal) is expecting his girlfriend Sara (Ane Dahl Torp), who owns the cabin, to join the rest when they get there. During the night the students get up to some drinking and - well, Twister. The game. That's when an old man shows up to make sure that they know the local history. Turns out Øksfjord was occupied by a rather nasty German force during World War II and, when they heard they were losing, the Nazis grabbed all the gold and silver they could. The villagers, having had enough and knowing the tide was turning, grabbed what weapons they could and killed as many as possible. However, the rest, including their commanding officer Herzog (Ørjan Garnst), fled for the mountains and became something else. A new family moves in across the street from Alex (Kathryn Newton). 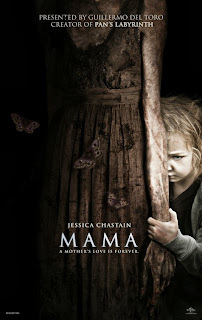 The mother is never seen; in fact, early on, she is taken to the hospital, and her son Robbie (Brady Allen) comes to stay with Alex's family for a few days. The situation is already tense. Alex's adopted brother Wyatt (Aiden Lovekamp) is reticent around Robbie at first, and her parents (Stephen Dunhan and Alexondra Lee) are too busy bickering to notice anything else that is going on. The only one besides Alex who senses something is strange is her boyfriend Ben (Matt Lively), who helps her set the computers up around the house so she can film the goings on. Of course, things start to go on. Swaying chandeliers, knives falling from the ceiling and cars starting by themselves. Also, Robbie seems to be exhibiting an unnerving influence on Wyatt. Increasingly, the activity grows stronger as Alex finds herself fighting for her life against strange forces that seem out to take her brother away. The spirit of the desert has taken human form (Robert John Burke) and wishes to make his way back to the spirit world. To do this, he must travel the desert, seeking out those who have lost everything and wish to end their lives, collecting parts from them until he has enough to cross over. Enter Wendy (Chelsea Field), a woman from Johannesburg who strikes out for the Namibian desert in an effort to distance herself from her abusive husband Mark (Rufus Swart). She soon crosses paths with the Dust Devil who, instead of immediately killing her, decides to spend some time. Their time together ends quickly when she realizes what he is. Sir Hugo Cunningham (Robert Stephens) is a rich philanthropist, social reformer and inventor who becomes curious about a series of photographs taken of people upon the point of death. In each one, a strange smudge appears. In a speech to a number of other people involved in paranormal research he proposes that the image is the soul leaving the body. However, his views change while filming his family with a homemade moving picture camera. When his betrothed Anna (Fiona Walker) and son Clive (Ralph Arliss) are killed in a freak boating accident, the footage shows he smudge moving toward Clive instead of away from him. 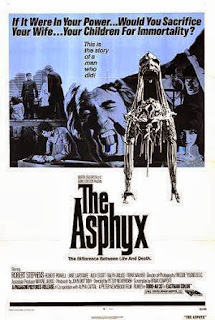 Research leads him to believe that, instead of the soul, it is a creature from Greek mythology called the Asphyx - one which exists locked away from its human host but is suddenly released and possesses the body seconds before death. Ann Gentry (Anjanette Comer), a social worker for Los Angeles County, decides to look into a strange case involving the Wadsworth family. On welfare for years, the family consists of Mama Wadsworth (Ruth Roman) and her three kids by three different men: Germaine (Marianna Hill), Alba (Susanne Zenor) and Baby (David Mooney) - the latter so named because, despite being 21 years old, he has the mental capacity of an infant, and the family keeps him in a crib and treats him like he's a year old. Ann believes that there is severe parental neglect behind Baby's state, and that he in fact is capable of mental growth. Despite orders from her boss and the fact that at least one social worker has disappeared she continues to pursue the case to the point of threatening to become Baby's new guardian. However, Ann herself may have her own hidden agenda. Louise (Alexandra Pic) and Henriette (Isabelle Teboul) are the favorites at an orphanage, known for their sweet nature and pitied by the nuns for their blindness. Their affliction gains the attention of Dr. Dennary (Bernard Charnacé), who adopts the pair to both raise and study. The girls, however, have a secret. They are not always blind. At night they can see just fine, although their world is in shades of blue. They also have the taste for blood. The girls have no idea of their origin. What true memories they do have are of a life in New York and, in an attempt to fill in the gaps, imagine themselves to be Aztec goddesses. Their previous lives have all come to an end due to what they refer to as "mishaps" when the locals discovered what they really were. 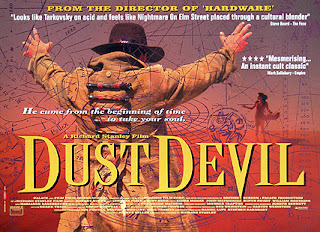 Ricky Coogan (Alex Winter) is a former child star hired by a chemical company to go to South America and use his fading star status to provide some gravitas to their claims that the chemicals are harmless. The $5 million offered by chairman of the company (William Sadler) doesn't hurt matters, so with his friend Ernie (Michael Stoyanov) Coogan sets off to phone in his support for lethal fertilizer. After landing in the small country of Santa Flan Coogan and Ernie encounter a group of protestors led by Julie (Megan Ward). 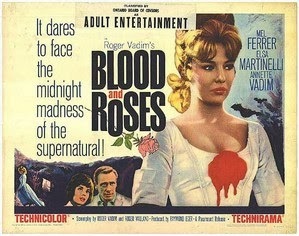 Intending to woo her, Coogan pretends to be on her side, but his identity is soon revealed. 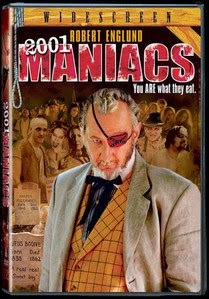 Despite that, they're stuck together for the drive down to the chemical plant, but decide to take a detour to see Freek Land, a live freak show owned by Elijah C. Skuggs (Randy Quaid). Coogan, Ernie and Julie soon find out, though, that they are to become part of the act. William Benson (Stelio Candelli) is a doctor called out on a stormy night to attend a medical emergency at a remote mansion. While on his way there he gets lost and stops at a - well, a remote mansion. The angry owner informs him that he has to go to the other side of the hill, but that the roads are dangerous. Announcing that it is in fact an emergency, Benson takes off anyway, pushing his VW Beetle to the limit (so much that it sounds like a Maserati rather than the familiar bees-in-a-can sound of a VW engine). Kathy Conklin (Lili Taylor) is a graduate student at New York University. Walking home from a lecture, she is accosted by Casanova (Annabella Sciorra). Casanova is a vampire and, after a conversation, encourages Kathy to tell her to go. Kathy, instead, gives in and is bitten. 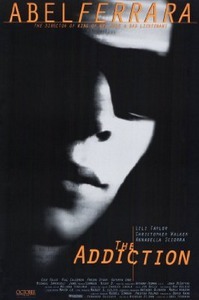 After being released from the hospital and admonished by the police, Kathy starts to go through a change - vomiting blood, wearing sunglasses to protect her from the sun and covering the mirrors in her apartment. She also finds that she is craving blood. When extracting with a syringe doesn't do the trick, she applies the more traditional hands on (or fangs-on) method we are all familiar with, creating a number of other vampires in her wake in order to slake her thirst.